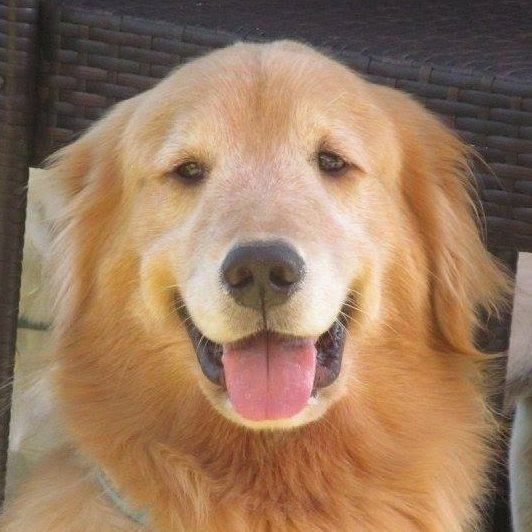 Tump is a three year old Golden Retriever who arrived in Birmingham along with the Snowpocolypse! He love snuggles when it is cold, lying on top of the air vent when it is hot and going to Dog Days! He gets so excited he scratches the door to get out every time we pull up. He hates squirrels and trespassers (i.e. people who walk past his house), but he has lots of friends in the neighborhood who come by to see him in his kingdom / yard. He makes me smile every day!